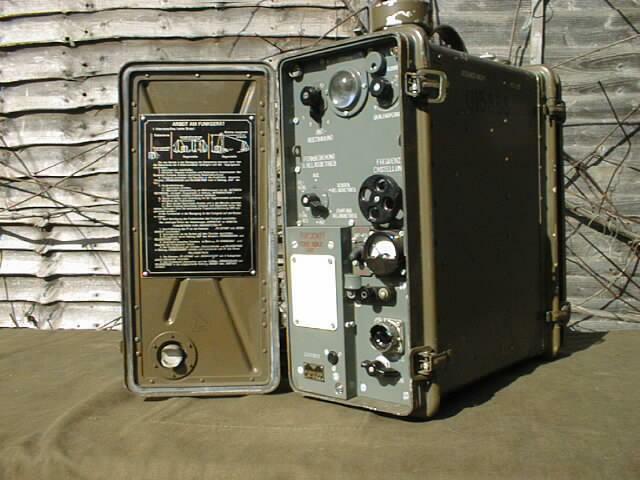 The P-105D, P-108D, and P-109D family of manpack transceivers were manufactured by the Russians in the early 50's and are very similar in looks to WWII German radios that they were based on! These radios were used by Russian and East German armies to provide radio communication within the Division at all levels down to Company HQ, Infantry and Artillery. Operating in one continuous band, output power is approximately 1.2 Watts. Modulation FM. Power was provided by two sets of 2.4V rechargeable batteries which are no longer available. This radio is a P-105D with metal case, frequancy range VHF 36-46.1 Mhz. Supplied in very nice untested condition with some accessories!